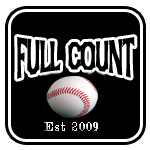 Interested in running your own Full Count franchise? Sign-up here. Dude, so much AD here, why not clean them all? Engineered the sale of to occidental petroleum. 10 players selected by Winnipeg in the Rule V draft?! Seriously? Automatic email sim notifications ? New/Revised GM Directory - add your location?